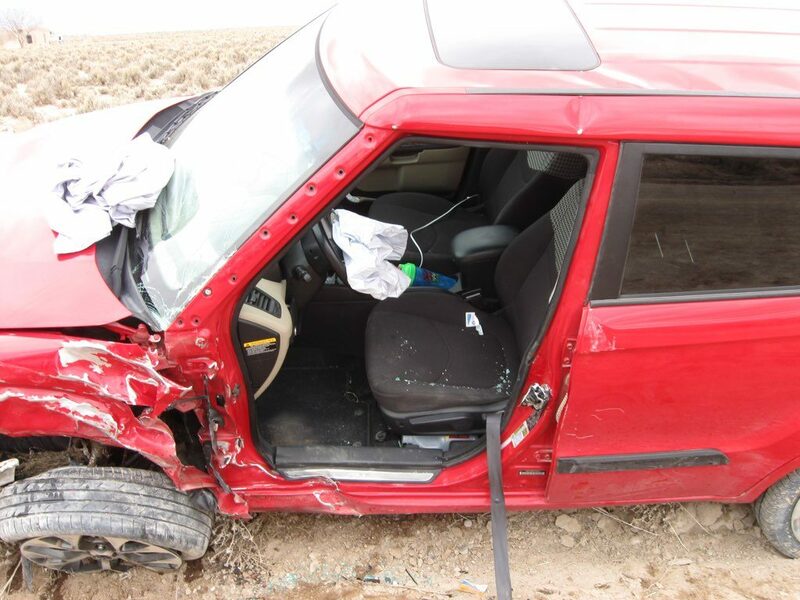 IRON COUNTY — A man was rushed to the hospital with multiple injuries following a crash in Beryl Sunday afternoon. Iron County Sheriff’s deputies responded to the crash involving a black Jeep Wrangler and a red Kia Soul at the intersection of 3200 North and 4000 West at approximately 3:20 p.m.
“The driver of the Wrangler had a yield sign, and the driver of the Soul had straight-through travel,” Iron County Sheriff’s Lt. Del Schlosser said. 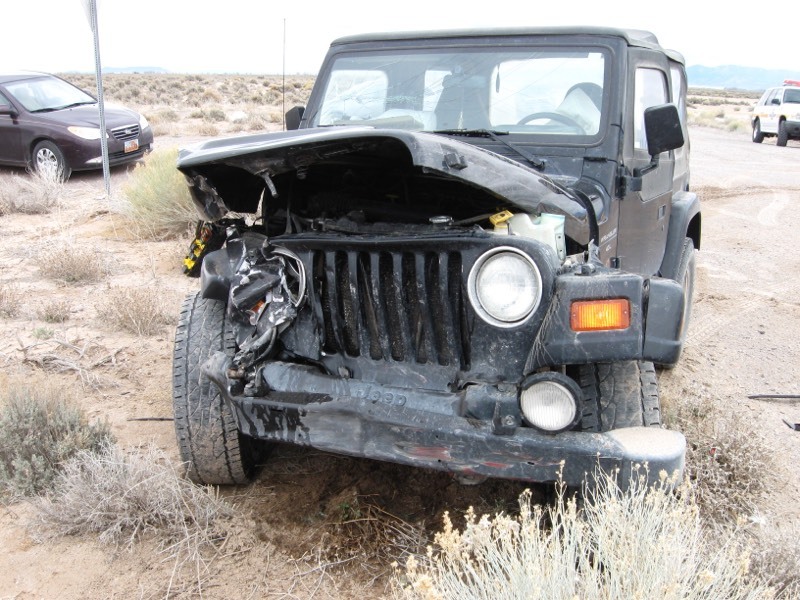 The driver of the Wrangler did not yield at the intersection and hit the Kia’s driver side, Schlosser said. 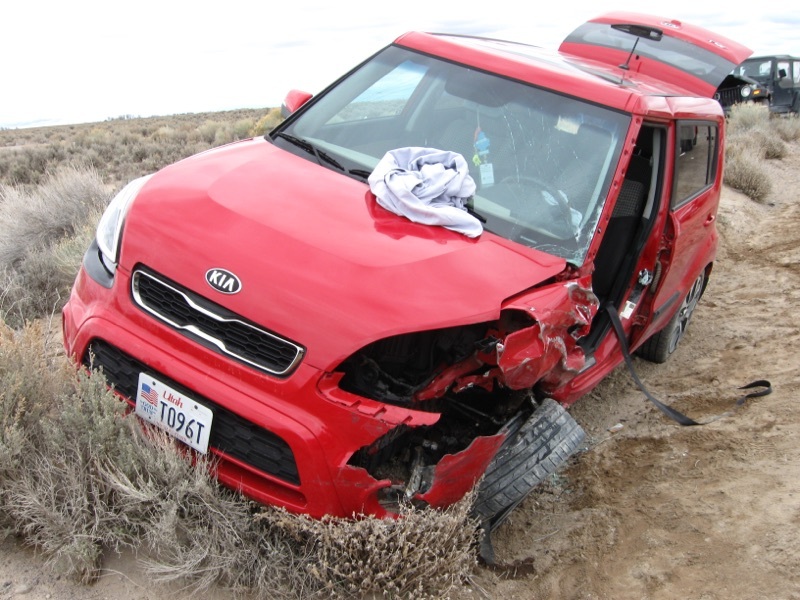 The 47-year-old male driver of the Soul suffered a leg injury, lacerations and other injuries and had to be extricated from the car by responding emergency personnel from Beryl Fire Department and Newcastle Fire Department. 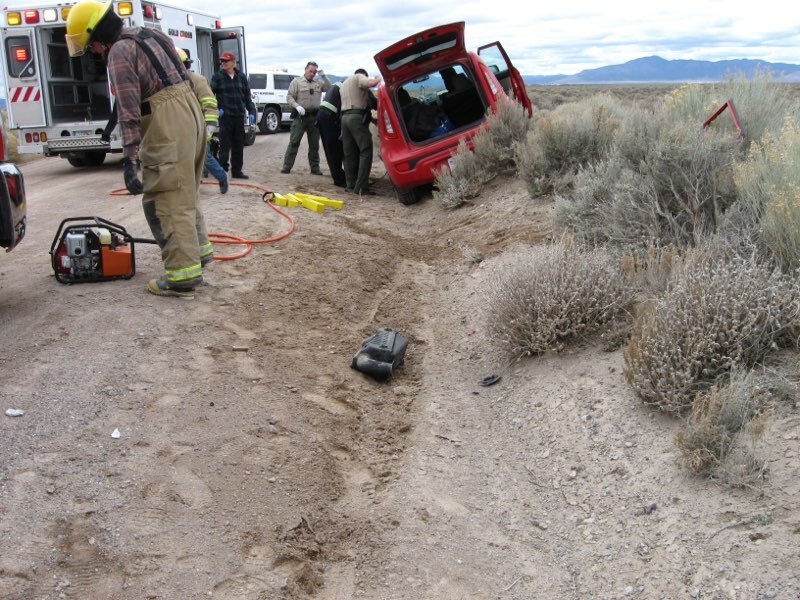 Medical personnel from Gold Cross Ambulance transported the man to Cedar City Hospital for treatment. 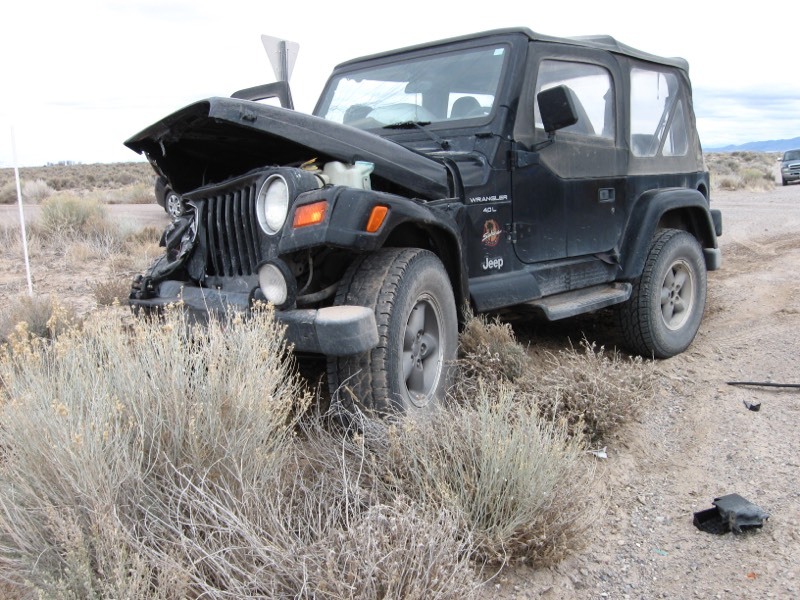 The 20-year-old man driving the Wrangler was not injured and was cited for failure to yield at an intersection, Schlosser said. 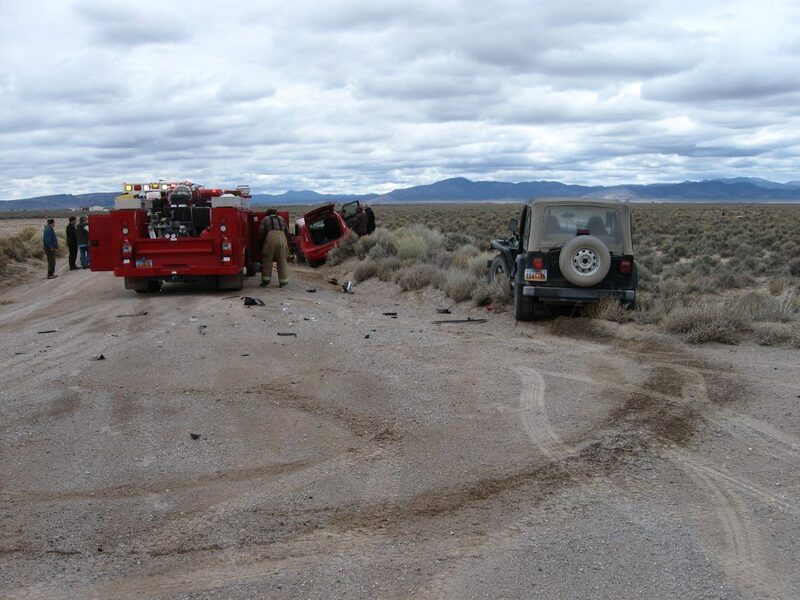 Both vehicles sustained heavy damage and had to be towed away.